"Practical Genetic Genealogy" and "Finding and Documenting African-American Families." See the highly qualified coordinators and instructors listed below. 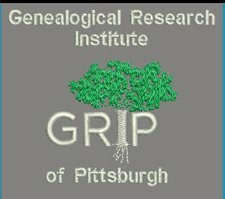 I was fortunate to teach in the Advanced Land course at GRIP in July and thoroughly enjoyed this new genealogy institute. It is making it's mark on the map with a comfortable "summer camp for genealogists" atmosphere and quality instruction. I hope to be able to add it to my education plan on a regular basis. Intermediate Genealogy: Tools for Digging Deeper with Paula Stuart-Warren, CG, FMGS, FUGA. Becoming an Online Expert: Mastering Search Engines and Digital Archives with D. Joshua Taylor, MA, MLS. Finding and Documenting African-American Families with J. Mark Lowe, CG, and Deborah Abbott, Ph.D.
Discovering families can be difficult and sometimes impossible. Follow proven strategies to gather and analyze a variety of record types while building upon each level for a strong foundation. Five case studies (spanning 1800 to 2014) illustrate how to apply the evidence. Both coordinators are recognized African-American experts. Mark Lowe has been involved in “Who Do You Think You Are?” and Debbie Abbott is known for her lectures in research skills, methodology, and alternative records. Law School for Genealogists with Judy G. Russell, J.D., CG, CGL and Richard G. “Rick” Sayre, CG, CGL. Registration will begin on Wednesday, February 12, 2014 at noon eastern time. Several of the courses are bound to sell out within minutes.